Winemaking on the Mornington Peninsula dates back to the late nineteenth century, however today’s cellar doors are populated by members of the modern chapter in this region’s history. The early 1970s saw a revival in interest around viticulture and winemaking due in part to the potential offered by the maritime climate for producing quality wines. 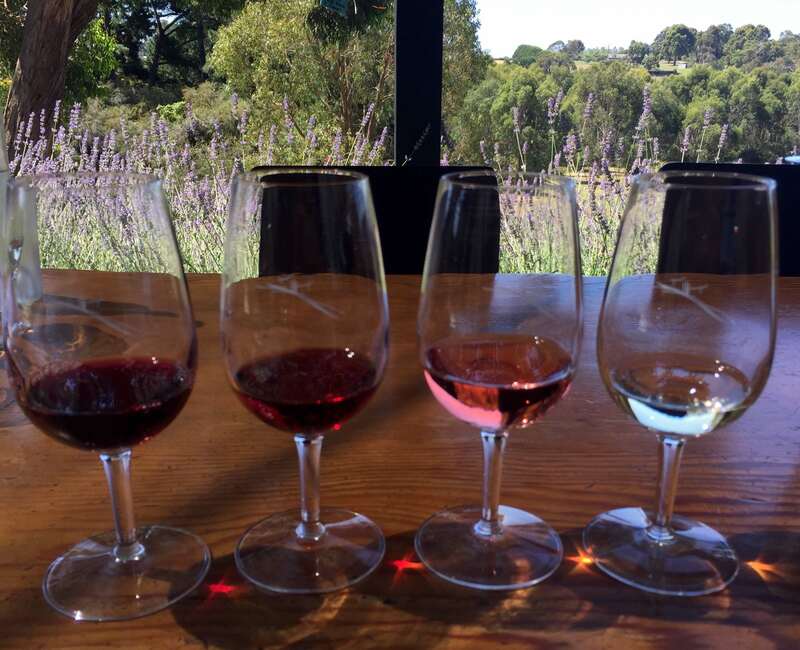 It is the plantings of Pinot Noir and Chardonnay that have come to dominate the vineyards of Mornington Peninsula, however Riesling, Pinot Gris, Shiraz and Merlot are also to be found. Paradigm Hill is located in southeastern Mornington Peninsula, in the Merricks sub-region of the peninsula. 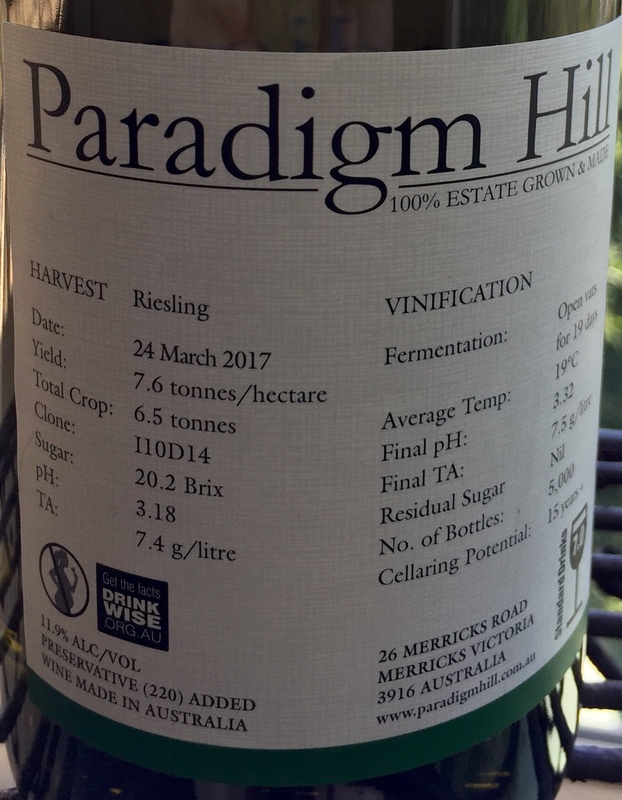 The cellar door at Paradigm Hill is open each weekend throughout the year with the exception of late December and January, when it is open daily. Drive down the long corridor of conifers and the vineyard and cellar door will come into view. Settle in outside at one of the tables on a lavender lined verandah looking out over the vineyard or if the weather requires it, there are a couple of tables and a tasting bar inside. Ruth and George Mihaly established this family owned and operated winery in 2002. Coming from culinary and scientific careers respectively they have combined their expertise and applied them to winemaking – with excellent results! A selection of five wines is usually on tasting for a small fee, which is reimbursed should you purchase a bottle of wine. The portfolio includes Riesling (dry), Pinot Gris, Shiraz rosé, Pinot Noir and Shiraz. Each bottle of wine details technical information on the back label – bound to satisfy the wine geeks among us and particularly useful as a guide to the style of Riesling, which is dry and delicious and would go with myriad of foods. Whilst both Pinot Noir, the single vineyards of Les cinq and L’ami Sage, are widely celebrated the Shiraz is also of note not least because it is less planted in this region but more so because it is delicious! Reminiscent of the Northern Rhône with its smokey barbeque and charcuterie notes, the elegance of texture and balance mean this would appeal to those looking for a more refined example of this grape variety. ← Come with me to Argentina!